My mother never really bought sodas for us when we were kids. 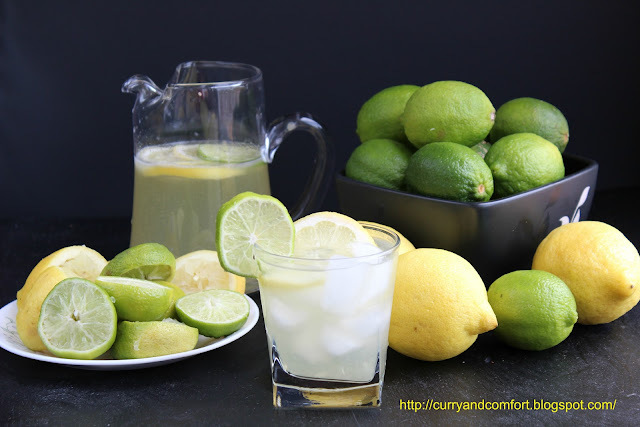 Since I try to do the same with my kids, I wanted to make a homemade "healthier" version of lemon lime soda for them. It was so easy (the hardest part was squeezing out all the juice). 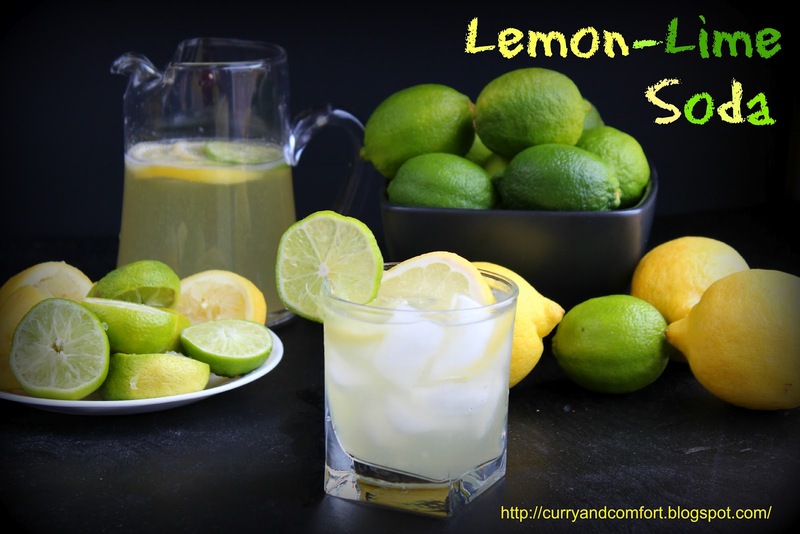 My homemade lemon lime soda turned out fantastic and my family loved. I know summer is technically over, but sipping this refreshing fizzy citrus drink brings back some of summer's sunshine one sip at a time. Boil 1 cup sugar, 1 cup water and 1 inch of sliced ginger. Bring to a boil for 2-3. Turn stove off and add 4-5 mint leaves. Allow to steep and cool. Strain ginger and mint before using. Fantastic and super refreshing soda. As a self-professed soda addict, I'm so glad to have this recipe! It looks so frefreshing. DELICIOUS! My mom was the same way. We never had pop in the house. Oh YUM! I keep a jar of ginger simple syrup in the fridge at all times, but have never thought to cook it with mint. DUH! Great Soda idea!!! So gorgeous! 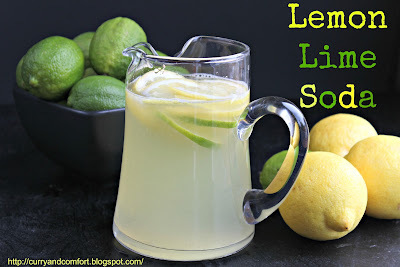 As a big fan of limes I love this soda idea! So refreshing! I still love lemons and limes, so I had to stop by ;) I just have to make sure I have gloves on. This soda looks lovely. I am always looking for recipes to use my lemons and limes up. This is a great idea. 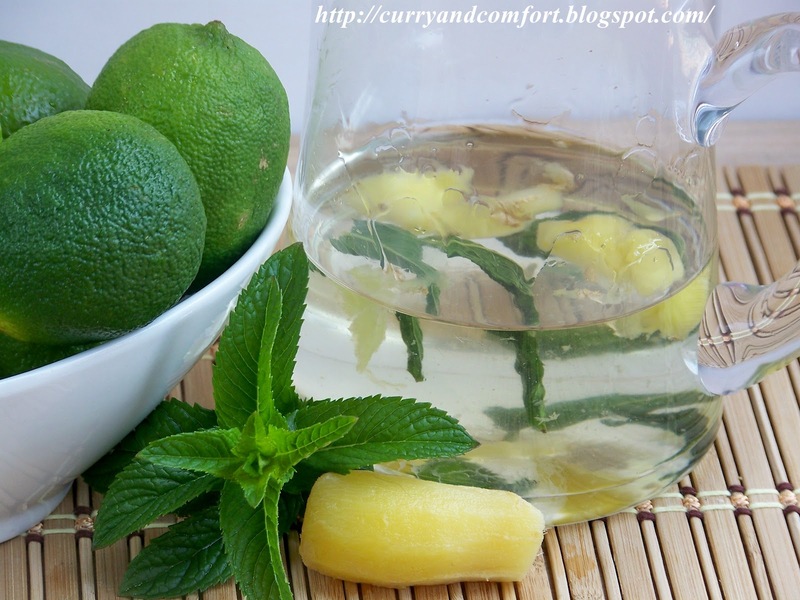 Way better than plain old lemon water. Ramona...I think I started to leave you a comment late last night and then fell asleep in the middle of writing it. (Never do anything on the computer after you have taken a sleeping pill!) When I woke up this morning and looked at my computer, I saw that my computer had reset with updates so I couldn't track back what I had actually written here. I have been so afraid that I said something stupid or incomprehensible on this post. If I indeed did leave a comment and you had to remove it, I am sooooo sorry. If, on the other hand, I merely started to make a comment and never finished it, then wahoo! I didn't make a fool of myself. This homemade soda is a perfect substitute for sugary store-bought drinks. The best part: It is so easy to make!